The term sciatic pain refers to the pain that runs along the sciatic nerve. It is not a diagnosis. Pain occurs in the hip, buttocks, leg or foot and typically impacts only one side of the body. The sciatic nerve is the largest nerve in the body. It begins at the lower back from a collection of nerve fibers that run between the L3 lumbar and S4 sacral spinal segments. The sciatic nerve then branches through the hips and buttocks and down the back of both legs where it splits into the tibial and fibular nerves. The tibial nerve travels down the leg all the way to the underside of the foot, while the fibular nerve travels around to the front of the leg and extends to the top of the foot. Inflammation is the primary cause. A misaligned spine can lead to a number of health conditions, including sciatica. Depending on the placement, spinal segments may become inflamed with normal movement. This can even affect the surrounding muscles, tendons, joints and tissues in the pelvis, buttocks, back and legs. It is not uncommon for sciatic pain sufferers to lose strength in the affected muscular area. In rare cases, the inflammation that causes sciatica can also be traced to advanced conditions, such as cancer in the gastrointestinal system or urinary tract. However, the vast majority of cases stem from a mechanical malfunction or bone deformity that puts pressure on the nerve. Spondylolisthesis –The term for slipped vertebrae. This happens when one backbone slides forward over the underlying bone. It can also stem from degenerating facet joints. These joints sit behind and between the vertebrae and provide a great deal of stability to the lower back and neck. Spondylolisthesis usually happens in the lower back and causes the spinal cord to compress and the nerve roots to stretch. Pain from a slipped disc is not always sudden. In fact, it can take years to begin feeling pain in the lower back and weakness in the legs. Stenosis –A narrowing of open space within the spinal canal or at the nerve exit point (intervertebral foramen). Stenosis usually occurs in the neck and lower back. The wear and tear over time usually leads to bulging discs, swelling ligaments and arthritis in the joints. These conditions cause pain, numbness, tingling, weakness and even bladder or bowel malfunction. As with spondylolisthesis, sufferers may not actually experience pain for the first few years of degeneration. Furthermore, stenosis is not always degenerative. Congenital stenosis occurs at birth from a spine that grew abnormally during gestation. Healthcare practitioners diagnose stenosis by measuring the spinal canal. The normal size from front to back is 13 millimeters. Above 10 millimeters is considered imminent, whereas anything under 10 is considered full-blown stenosis. Piriformis Syndrome –Sciatic nerve compression from the piriformis muscle is another form of entrapment neuropathy. This gluteal muscle in the lower limb is one of the six lateral rotator muscles that move the femur outward from the hip joint. In many people, the sciatic nerve actually penetrates the piriformis, which increases the risk of compression pain. The piriformis muscle is regulated by the reticular formation in the lower part of the brainstem. People who suffer from functional neurologic imbalance can also experience entrapment neuropathy. This imbalance can lead to increased tension in the gluteal and pelvic muscles, and the over activity can create pressure against the sciatic nerve. Facet Arthropathy/Bone Spurs – A form of arthritis that refers to the excess bone deposits within the joints in the back of the spine. This is another degenerative condition and is known by several names, including facet joint arthrosis and facet joint osteoarthritis. Spinal vertebrae are stacked in a column, but facet joints allow each segment to move. Movement also involves connecting cartilage as well as spinal fluid that keeps the joints properly lubricated. Stress can cause cartilage to disintegrate, which in turn can cause a vertebra to come in contact with the layer above or below. As a result, the body tries to compensate and reinforce the cartilage by depositing more bone material. This deposit is known as an osteophyte or a bone spur. An osteophyte on a facet joint can affect the path of spinal nerves, and the resulting pinching can lead to sciatic pain. Sciatica is usually diagnosed via one of two methods –a physical examination or advanced electronic testing. However, both methods require a thorough evaluation. These are the movements most commonly affected by sciatica pain, and understanding their mechanisms and influence on the nerves is critical. A thorough examination may uncover signs of stress or pressure against the sciatic nerve. Furthermore, a loss in muscle strength is a primary indicator of a problem area, specifically if there is a loss of strength in the foot. The muscles that lift, turn in, turn out, push up and push down are all charged by nerves that are directly affected by the compression that causes sciatica. Pain is not the only thing that examiners look for. A physical exam will also test a patient’s response to light touch around the affected area. Likewise, it is important to assess how sensitive the impact area is to temperature and vibration. Because compression is not the sole cause of sciatic pain, further tests may be performed to identify any tumors on the spinal cord or in the brain. Inflammation and pain can also stem directly from your nervous system itself. Therefore, it may or not be categorized as sciatica. For example, vascular claudication refers to the decrease in blood flow, which causes cramping in the thighs, calves, buttocks and legs. The sciatic pain symptoms are much like those of spinal stenosis. However, this pain usually ceases when you stop moving or you assume a resting or standing position. The brain powers posture, balance, musculature and movement, and a standard physical exam may not be able to identity the real underlying source of pain. Again, piriformis syndrome is sometimes associated with a neurological imbalance. Therefore, a sciatica exam may include advanced procedures performed by a functional neurologist. Get Help with your Sciatic Pain now! X-Ray –A common form of medical imaging that utilizes electromagnetic radiation to view bone structure. Magnetic Response Imaging (MRI) –Electronic imaging technique used to visualize brain function, vascular disease and a wide range of physiological and anatomical functions of the human body. Its primary target is soft tissue. It can also be used to view musculoskeletal conditions related to sciatica. Examiners may use spinal imaging to identify joint degeneration or even tumors within soft tissue. MRI machines do not use radiation and can generate images on all planes. Test time ranges from 10 minutes to two hours. CT Scan (CAT Scan) – An advanced imaging technique that combines multiple X-ray images to create a cross-sectional view of the area in question without having to cut into bone or organ tissue. Its primary targets are bone injuries, cancer and lung disease. Compared to an MRI, a CT scan provides better images of bone structure, and the testing time is much shorter. However, it does expose the patient to radiation. Electro diagnostics –Monitors the electrophysiology of body activity to diagnose and evaluate neurological impairments. These procedures require advanced training. Common methods used to assess sciatica include electromyography (EMG), and nerve conduction velocity (NCV) testing. When the source is neurological, the process is usually much more in depth. For compression-related cases, however, there are a variety of safe and effective treatment options for patients. Methods vary depending on whether the sciatic pain is mechanical or compression induced, but most options are minimally invasive. Mechanical Irritation –Stems from irregular spinal movement or alignment, irregular pelvic movement or alignment, and decreased muscular structure. This is the easiest type of sciatic pain to treat. Common methods include physical therapy, chiropractic adjustment and massage therapy. Acute conditions are generally easier to treat and may be resolved with several sessions of therapy. Chronic conditions may take longer to treat, but most patients are directed to supplement treatment with regular home stretching and strength-building exercises. Compression-Induced Irritation –When a disc, bone or ligament puts pressure on a nerve, the result is inflammation. Treating compression-related sciatica usually involves decompression, which may or may not require surgery. Stretching is the most common non-surgical method. During this treatment, a practitioner will use a computerized machine to lightly stretch the spine and direct the bony overgrowth away from the nerve it is compressing. The idea is to produce a vacuum effect within the impaired disc. On the surgical side, a discectomy is the most common method and is usually reserved for more advanced or severe cases of sciatica. The procedure is also known as a laminectomy or decompression surgery. The idea is to create more space between the vertebrae. A doctor will make an incision in the back to gain access to the spinal cord. He or she will then remove sections of bone material, which enlarges the spinal canal and relieves stress on the nerves. Reduce inflammation. In order to treat pain, the source must be identified. What is inflamed, and where is the nerve being compressed? Treatment may involve a combination of laser therapy, adjustments, diet control, and massage therapy. The goal is to first address controllable pain inducers before examining further biomechanical issues. Correct movement. The next step teaches patients to relearn proper movement techniques through a combination of physical therapy and chiropractic treatment. The goal is to retrain the muscles. The process usually involves mirror image exercises and posture adjustments. This helps to relieve nerve stress, revive joint function, and restructure the ligaments. Stabilize. Once inflammation is reduced and movement is corrected, the final step is to strengthen and reinforce mechanics through advanced movement techniques. The idea is to establish long-term habits. This may or may not involve specialized treatments to address functional neurological imbalances. Common techniques include ocular exercises, balance therapy, vibration therapy, light stimulation, joint manipulation, and auditory therapy. For more information about sciatica and your available treatment options, call Hanson Chiropractic at 425-355-3738 or send us a message to schedule a consultation. 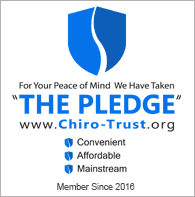 Treatment here is pleasant and the environment is so positive that I feel good to be here each week as they help me recover from my car accident. Amazing! Never been to a chiropractor before, so I was quite nervous! I’m getting better by the day! The entire staff is amazing and so friendly!! Highly recommend! Great chiropractic office with friendly staff the genuinely care about your overall health.